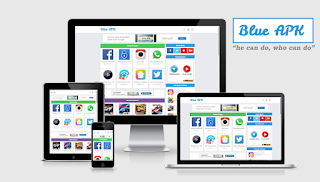 Blue APK Blogger Template is a best template for your android apps download site. In this template we used to big widget, Featured Apps widget and Featured Games widget. You can display 8 Apps and 8 Games as a featured post in top with specific label. Featured apps and games widget may increase your apps download count. This is awesome theme for bloggers blog. Thanks for sharing.